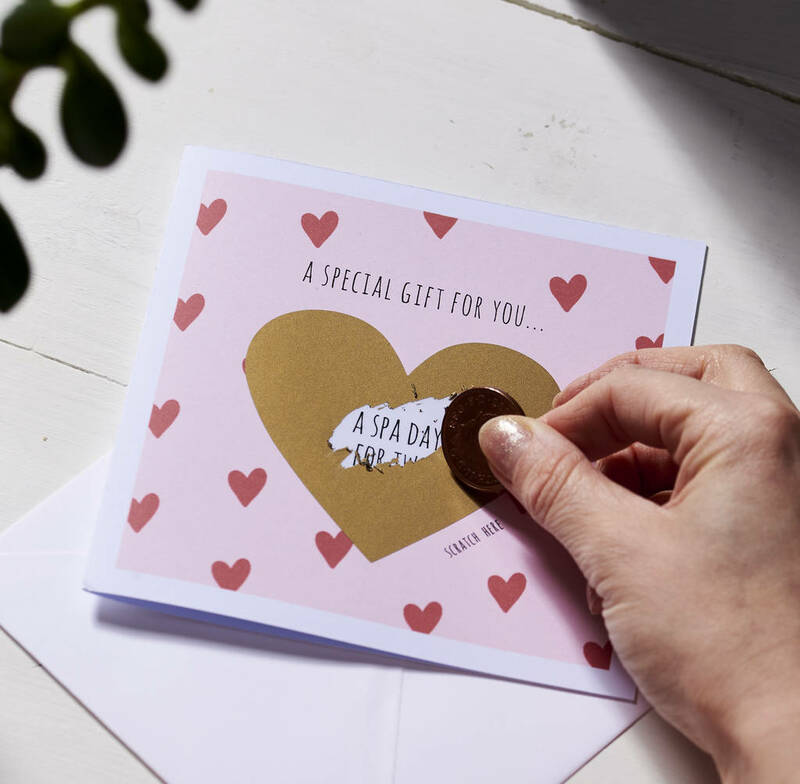 A beautiful love hearts scratch card with your own personalised message hidden beneath. 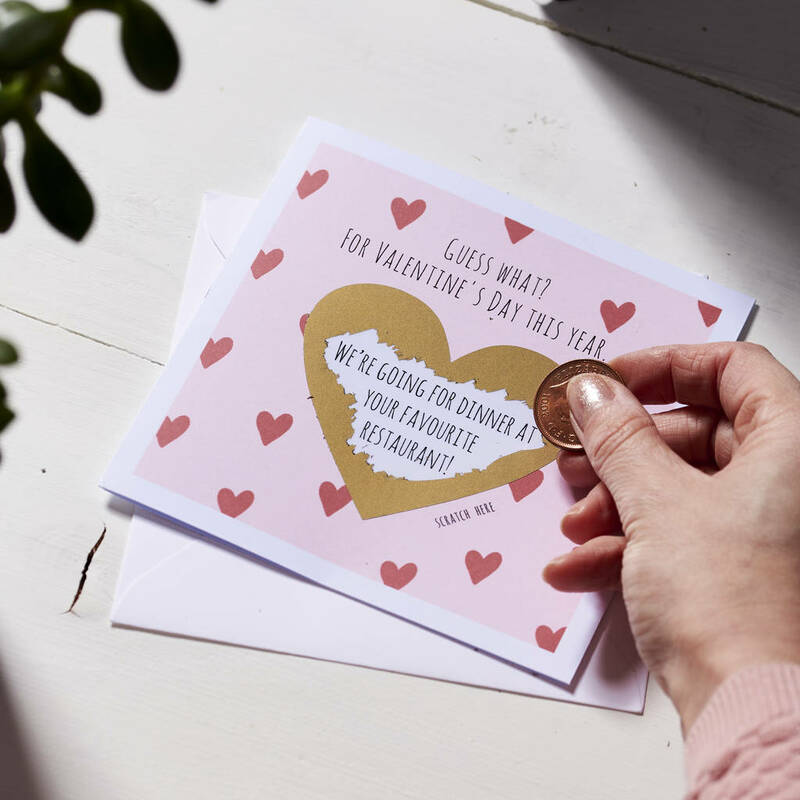 A unique way to celebrate your loved one this Valentine's day. 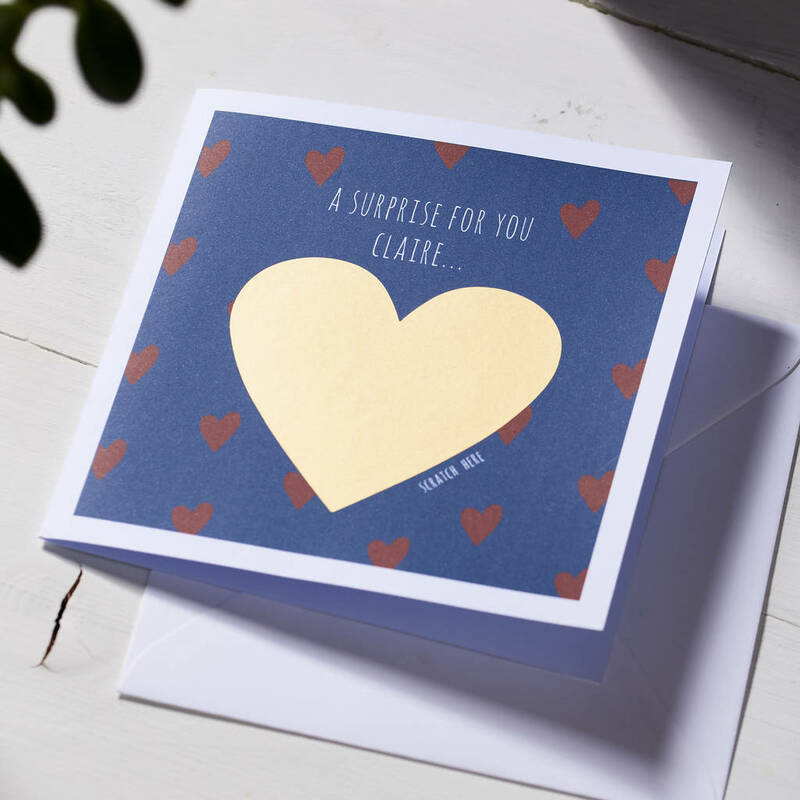 Whether you're inviting them to something exciting or sending them a surprise love note, these cards will do the perfect job. 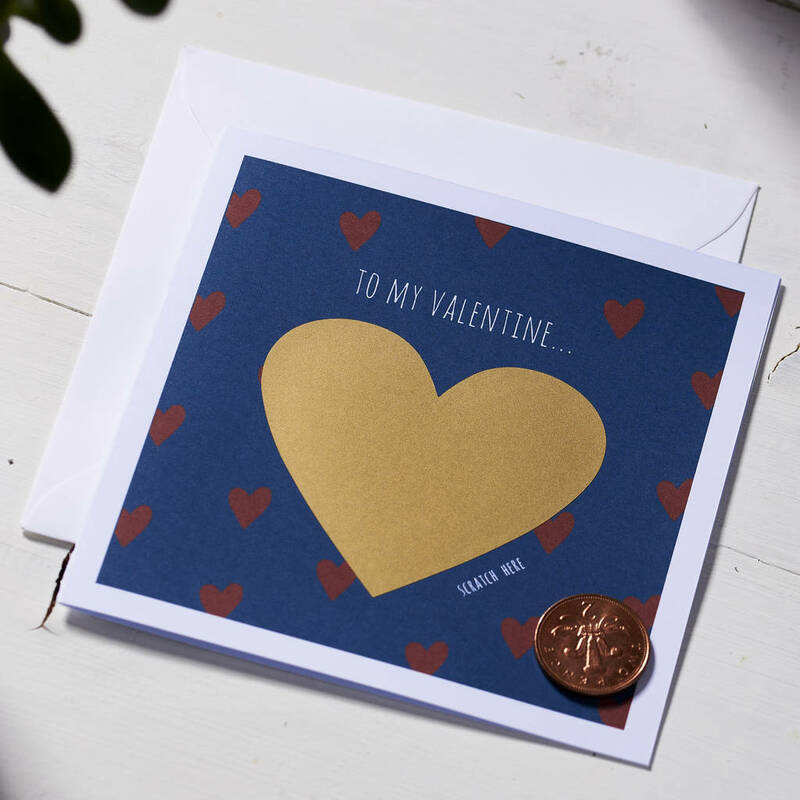 Like a scratch card, it's best to use a coin to scratch off the heart to reveal the message. 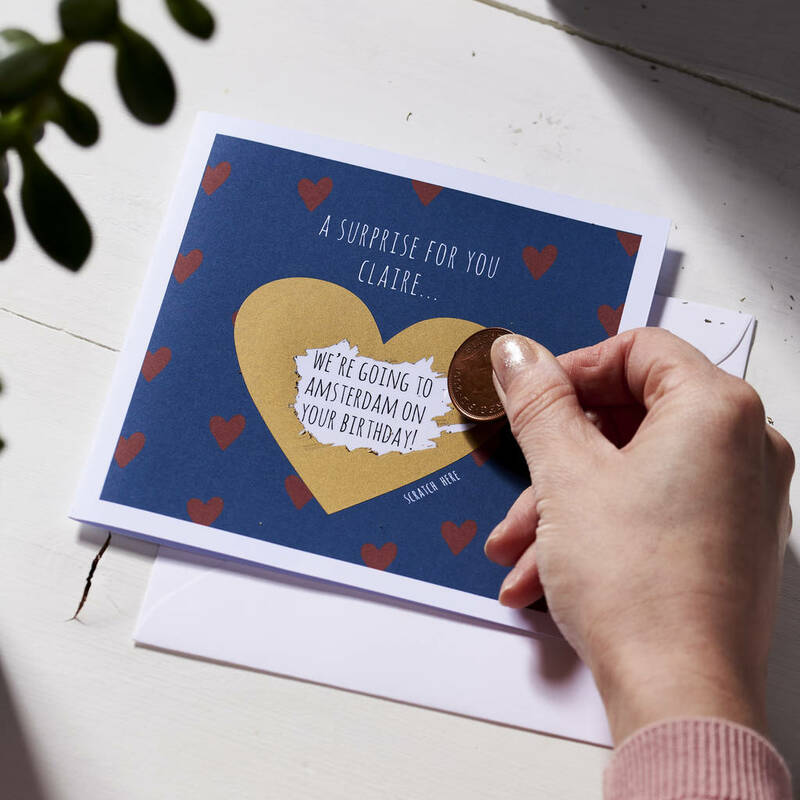 Perfect for a Valentine's surprise.